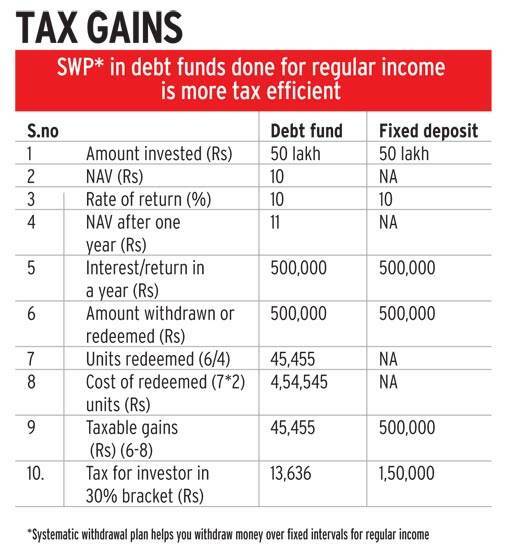 Debt mutual funds offer more tax benefits and returns than other fixed income instruments. Debt investments are a part of most portfolios. These work as a shock absorber for investors by delivering stable, though not very high, returns. 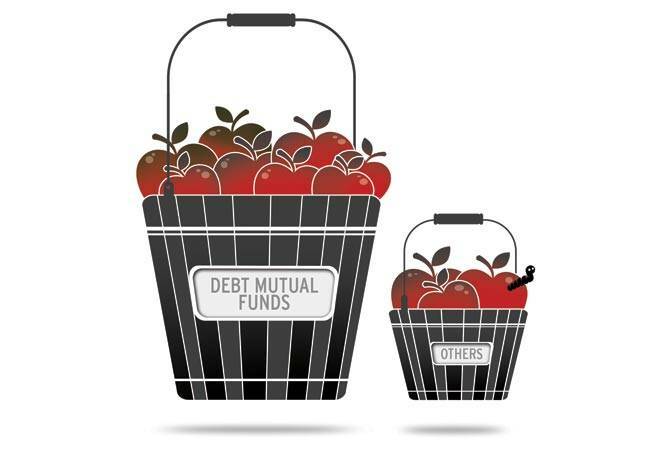 Among the debt instruments available, debt mutual funds are one of the most recommended, especially when interest rates are falling -- they have delivered double-digit returns in the past two years and are tax efficient (see Tax Gains). However, a few recent incidents have got investors worried. Those who had invested in four debt funds of Taurus Mutual Fund were in for a shock when net asset values, or NAVs, of their funds fell 7-11 per cent in a single day in February this year. Such losses are difficult to digest even for equity fund investors. The reason for the fall was the downgrade of rating of debt papers of Ballarpur Industries in which the funds had invested. This is not the sole instance of debt funds delivering negative returns. In August 2015, two schemes of JPMorgan Mutual Fund had suffered losses due to downgrade of debt papers of Amtek Auto. These incidents highlight the inherent risks in debt funds that mutual fund investors should be aware about. Among debt securities, there are different instruments that a fund can take exposure to. These include government securities, certificate of deposit, commercial paper and non-convertible debentures. The funds' performance will depend on how the underlying instruments are doing. "The extent of fall or rise in prices of fixed income securities is a function of the coupon rate, days to maturity and the increase or decrease in level of interest rates," says Avnish Jain, Head, Fixed Income, Canara Robeco Mutual Fund. There are two types of risks that these funds carry. Credit risk: It is the risk of losing capital and interest if the bond issuer defaults. Bonds with lower credit rating have higher credit risk; those who invest in these are compensated with higher yields compared with higher-rated bonds. Debt funds that invest a significant amount in lower credit rating bonds also face liquidity risk, that is, the inability of a fund to easily sell the bonds in case of a default or being forced to sell at a heavy discount, resulting in a negative impact on the fund's NAV. The JP Morgan and Taurus Mutual Fund incidents are examples of the impact on the fund's NAV due to the credit risk taken by the fund manager. Interest rate risk: This is the risk of fall in value of bond prices in which the fund has invested due to change in the interest rate scenario. Bond prices are inversely related to interest rates. When the Reserve Bank of India, or RBI, increases the repo rate, bond prices fall as higher bank deposit rates and newer bonds with higher coupon rates become more attractive than existing bonds. So, many investors sell existing bonds in the secondary market, leading to a fall in prices of already-issued bonds. In the February 8, monetary policy review, the RBI surprised everybody by keeping rates unchanged; most were expecting a 25 basis points, or bps, cut in the repo rate. The RBI's move came as a shocker and many experts, including fund managers of debt mutual funds, were caught off-guard. After the announcement, bond yields (coupon rate divided by market price of the bond) strengthened, and most debt funds, barring liquid funds that invest in debt papers with maturity up to 91 days, fell 0.30-2 per cent the next day. This is a classic example of the interest rate risk that debt funds take. The success of any debt fund depends upon the fund manager's ability to predict such events and change the portfolio maturity according to the changing interest rate scenario. The Securities and Exchange Board of India has strict regulations in place. Debt funds are not allowed to invest more than 10 per cent funds in any company' paper, though they can take it up to 12 per cent after approval from trustees. 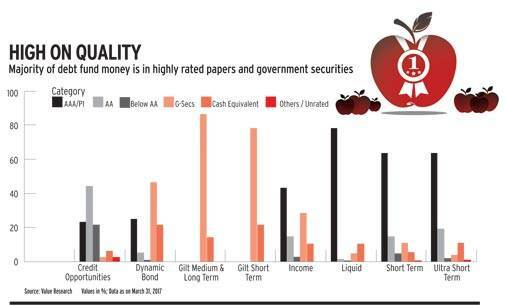 Also, a big majority of debt fund investments are in highly rated "AAA" papers. As per data from Value Research, as on March 31, 2017, around 71 per cent of open-end debt mutual funds' assets were in "AAA" or sovereign bonds. While there are instruments such as credit opportunities funds that take higher risk by investing in lower rated papers, they are well within their mandate to do so. But they are not for conservative investors. As on March 31, 2017, 68 per cent assets of credit opportunities funds were in AA and below AA rated papers. The onus of finding the right type of fund is on the investor himself. "There are numerous options in the market but the key is to match the underlying investment with the mandate. For example, irrespective of the attractiveness in terms of yields or potential returns, an ultra short-term fund should not invest in 10-20 year government securities (as they have high interest rate risk). Similarly, the portfolio manager of a high grade (higher credit quality) portfolio would refrain from investing in lower rated (relatively higher credit risk) securities," says Amit Tripathi, CIO, Fixed Income Investments, Reliance Mutual Fund. "Investors should always look at the portfolio of the fund before investing," said Dhawal Dalal, CIO, Fixed Income, Edelweiss AMC. If the fund manager and the fund house are disciplined and process oriented, and the investor is aware of the risks, there will be fewer chances of negative surprises. Disappointment is inevitable if you are buying an investment with wrong expectations. Debt mutual funds are market-linked products and can never be as safe as bank fixed deposits. But the risk-return profile of debt funds differ from category to category. "People invest in debt funds to earn better returns than fixed deposits. They should be under no illusion that higher returns can come without additional risk. The trade-off is between lower but assured returns in bank deposits and potentially higher returns in debt funds with higher risk ," says Mahendra Jajoo, Head, Fixed Income, Mirae Asset Global Investments India. 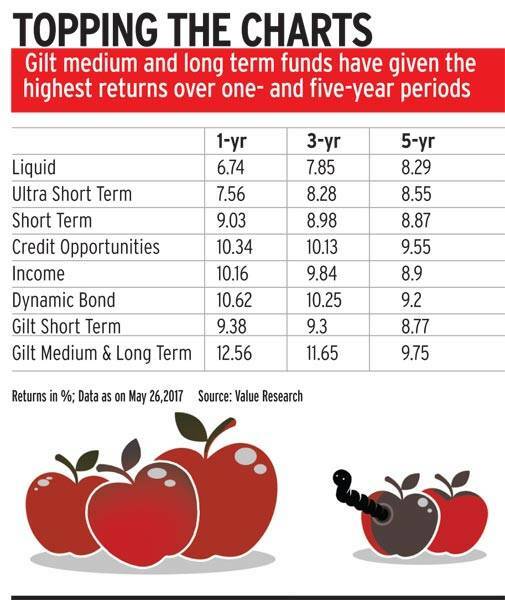 The choice of the fund should be as per the investment tenure rather than return expectations. "Investors should marry their investment horizon with portfolio duration of the fund in which they are investing. Longer duration portfolios necessarily require longer investment horizons to reduce excessive volatility in returns. As a thumb rule, the investment horizon should be at least 12-24 months if investors are looking at short-term debt funds (including accrual funds), and at least 24-36 months if they are looking at long-term debt funds," says Tripathi of Reliance Mutual Fund. Accrual funds hold bonds till maturity and earn from the accruing of interest. If you are a conservative investor who wants a guaranteed return, than debt funds are not for you. Nothing is guaranteed in case of debt funds, neither the returns nor the dividends. But if you are looking to earn that extra return by taking some risk, debt funds are a good option given the superior returns they give over the long term. After three years, long-term capital gains are entitled to indexation benefit, which reduces taxable gains significantly. In case of fixed deposits, the entire interest income is taxable. 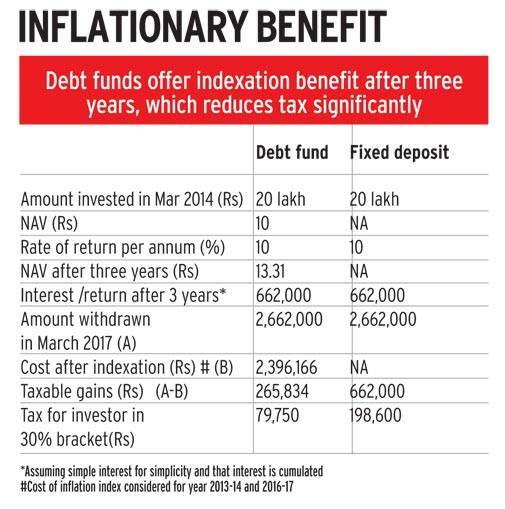 Gains from debt funds after three years are taxed at 20 per cent post indexation while short-term gains (before three years) are added to the individual's income and taxed as per his tax slab. "Debt funds provide investors an opportunity to benefit from fixed income instruments on a diverse scale. Further, investments over three years are subject to indexation benefits, unlike FDs," says Jiju Vidyadharan, Director, CRISIL Research. Be informed, choose your fund wisely.